Ira Stanphill wrote over 400 gospel songs and was a well-known singing evangelist. 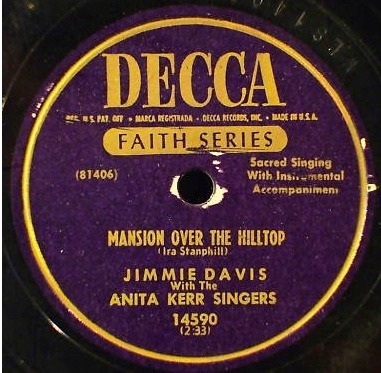 Jimmie Davis was born on 11 September 1899 in Quitman, Louisiana. He had simultaneous careers as a politician and as a country singer. A successful radio singer, he gained further fame with his 1940 recording of "You Are My Sunshine." During his rise to fame he continued working in various local government positions and in 1944 was elected governor of Louisiana. 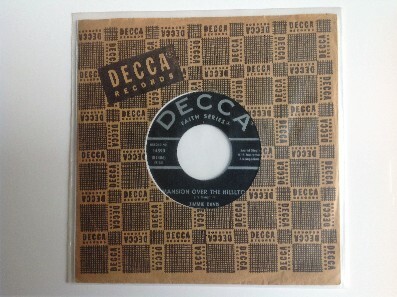 He recorded his version of "Mansion Over The Hilltop" in August 1951 and it was released on Decca 14590. Davis died on 5 November 2000 at the grand old age of 101.